Setsubun marks the day before spring with various traditions meant to drive away evil spirits and bad luck and cleanse the home and family for the coming year. 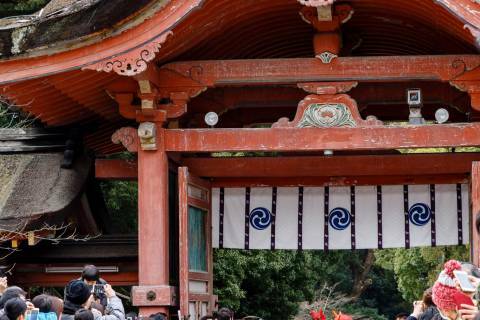 Shrines and temples around Japan hold special festivals for the public to come together and participate as a community, and several of these festivals are quite famous. 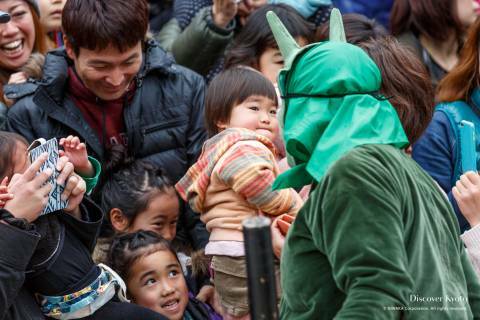 One place you can go to take part in Setsubun is Iwashimizu Hachimangū on Mt. Otokoyama in Yawata City just south of Kyoto. 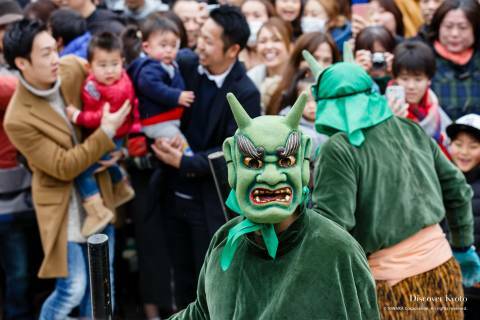 Though Setsubun festivals are commonly held on February 3rd no matter what day of the week the date falls on, Iwashimizu Hachimangū holds their Oni Yarai Shinji (Ogre Banishing Ritual) on the Sunday before in order to allow people of all ages to attend more easily. 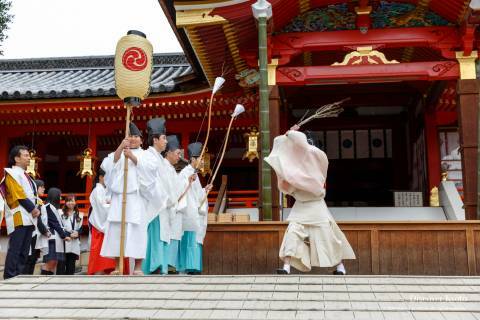 Held twice on the day at 1pm and then again at 2pm, Oni Yarai Shinji consists of three main parts: Shinto purification rituals, an "attack" on the shrine by oni (ogres), and the distribution of fukumame ("lucky beans"). A procession of shrine priests, priestesses, and related guests make their way to the stage in front of the main sanctuary, where the head priest performs various purification rituals. After using a peach branch bow to symbolically fire arrows in the cardinal directions and this year's "lucky direction", as well as a purification with a sword made of peach tree branch, four oni, two green and two red, make an appearance. Growling and intimidating the crowds along the way, the oni make a comic assault on the shrine stage only to be dramatically beaten back by beans thrown at them along with shouts of "oni yarō" ("drive out the ogres!"). Once the oni make their retreat, the crowds gather with hands reaching out high in the hopes of catching the packets of lucky beans that are then thrown their way. 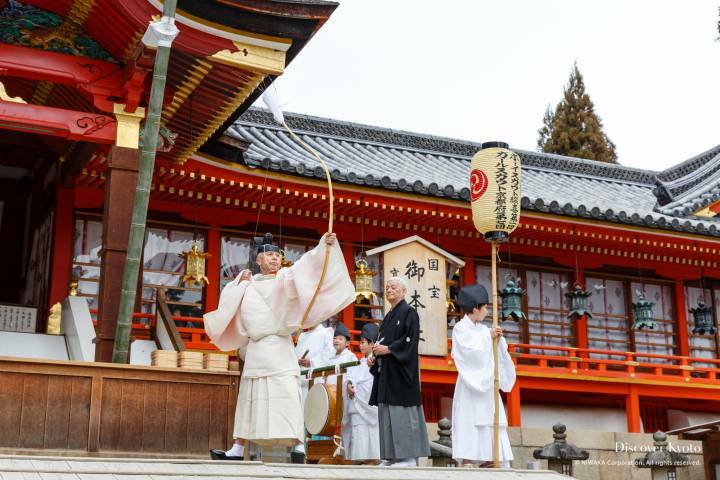 In addition to the two Oni Yarai Shinji rituals, packets of fukumame and arrows blessed by miko priestesses performing kagura dances can be purchased throughout the day.